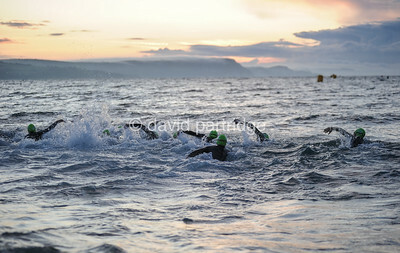 Participants start the swim leg of the IRONMAN 70.3 Weymouth race. 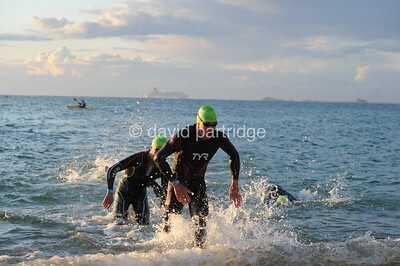 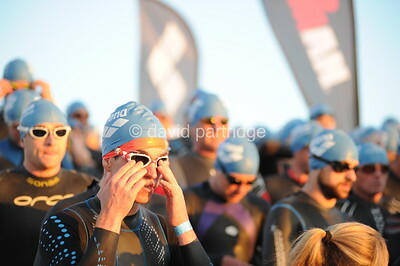 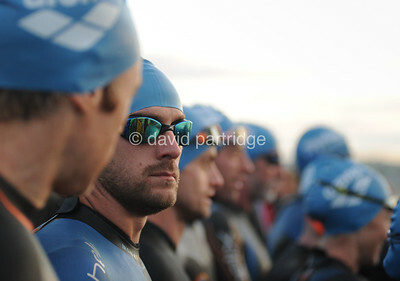 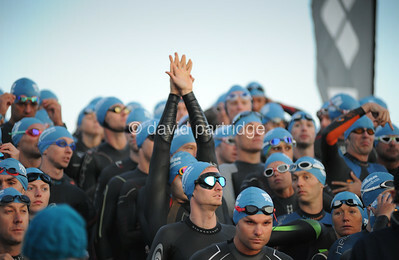 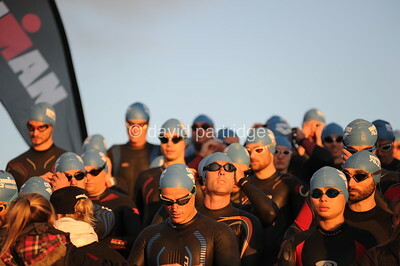 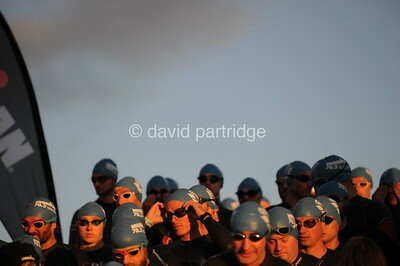 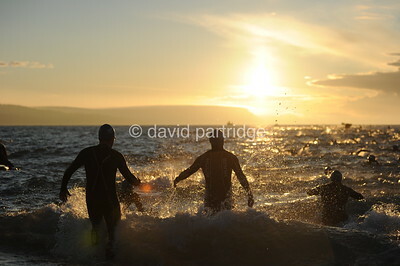 Participants look on as they prepare to enter the water as they start the swim leg of the IRONMAN 70.3 Weymouth race. 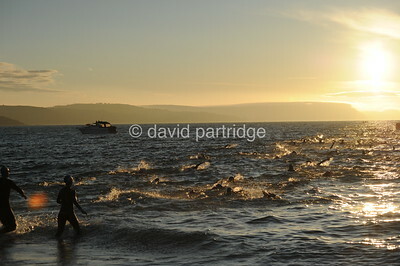 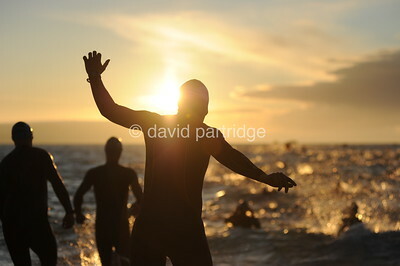 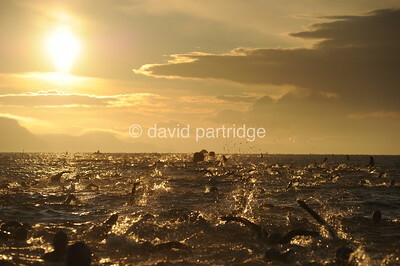 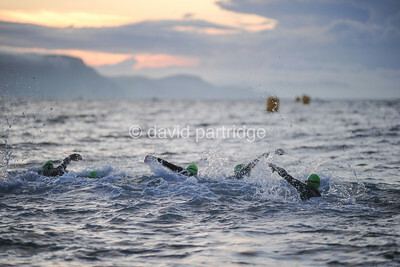 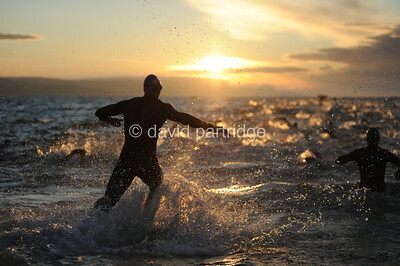 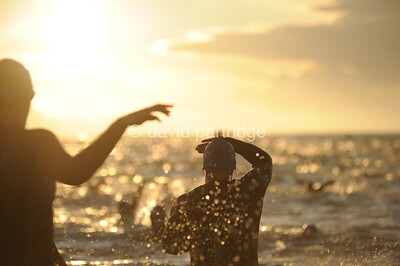 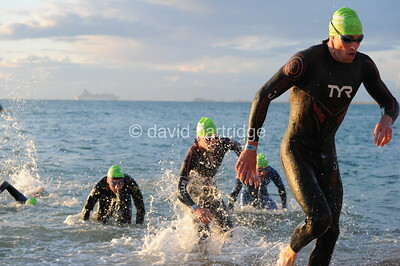 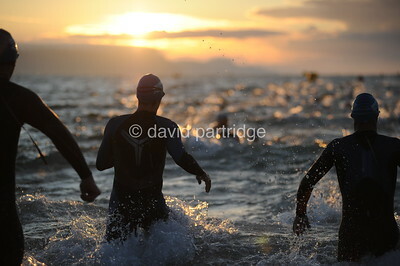 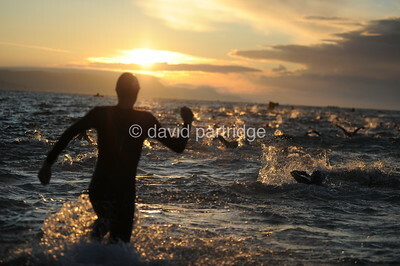 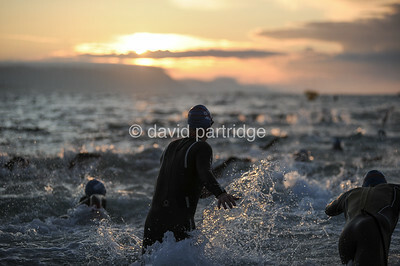 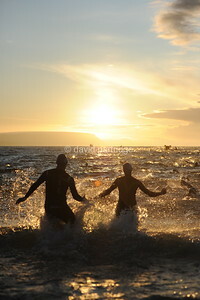 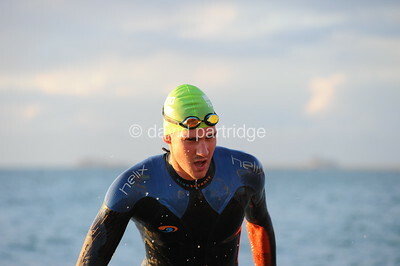 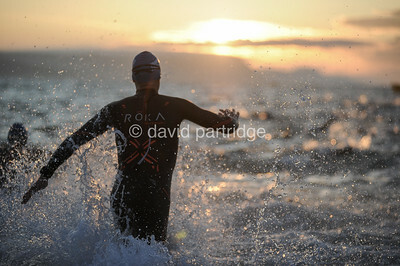 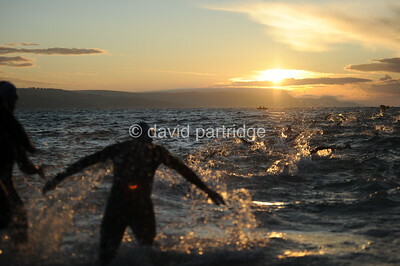 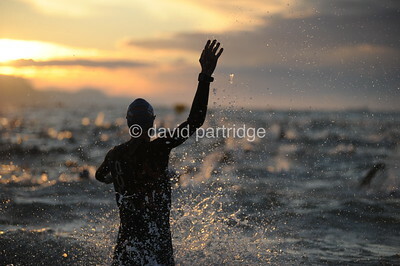 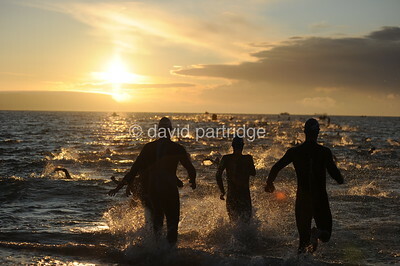 Participants enter the water at sunrise as they start the swim leg of the IRONMAN 70.3 Weymouth race.